Israel has refused entry to dozens of activists who arrived in Tel Aviv as part of an international campaign dubbed ‘Welcome to Palestine.’ Nine Israeli activists have also been arrested. 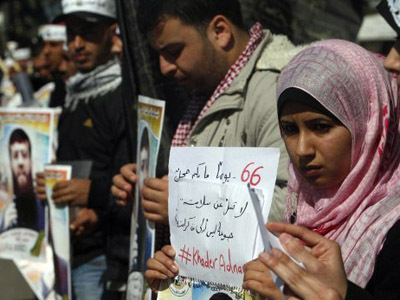 ­The international activists, intending to take part in a solidarity event with Palestinians in the West Bank, were detained as they landed in the country’s main airport on Sunday. As many as 49 were stopped in the airport, the Interior Ministry reported on Sunday evening. Most of flew from France, but others came from Spain, Switzerland, Canada, Italy and Portugal. About a dozen were sent back home, with several more possibly to follow after arrangements are made. Israeli police accused the activists of posing a security threat, intending to disrupt public order and attempts to delegitimize Israel. 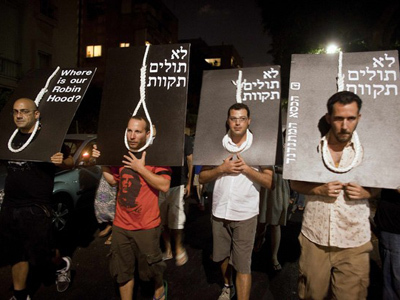 But organizers say they had planned peaceful activities and have criticized Israel for overreacting. Around 1,200 Palestinian rights activists worldwide have bought tickets to travel to Israel on April 15. 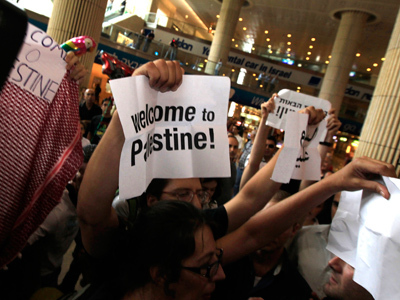 They planned to take part in a number of peaceful events as part of the “Welcome to Palestine” campaign. 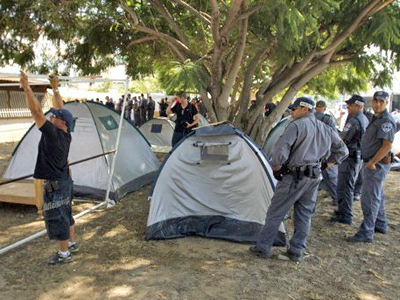 Among them were holding peaceful demonstrations in the West Bank, meeting with Palestinian families, and planting trees. The events were set to include the opening of an international school and a museum. Earlier, Prime Minister Benjamin Netanyahu’s office issued a letter advising the activists to focus on the “real problems” of the region. 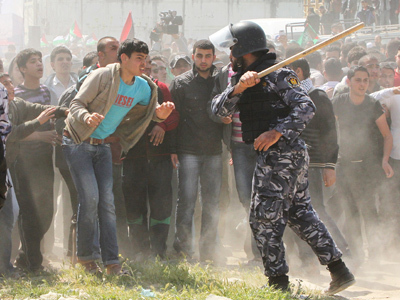 The heavy-handed response from the country’s authorities and police is not new, as during the Land Day commemorations one person was killed and several more Palestinian activists injured. Back in May 2010, Israeli naval commandos clashed with activists on board a flotilla trying to break Israel’s blockade of the Gaza Strip. Nine international activists were killed in the attack.